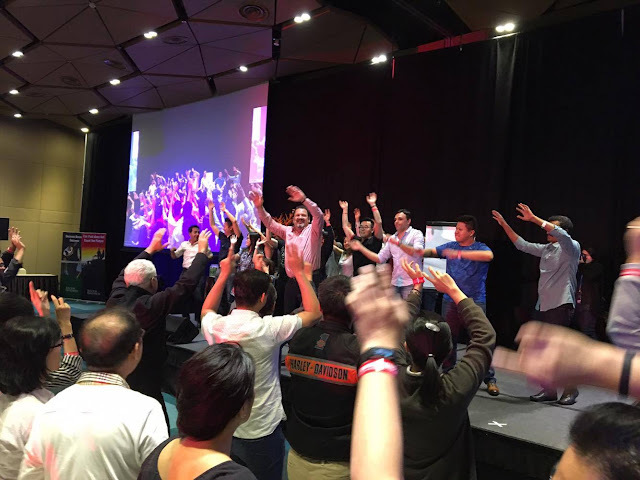 HOW many of you have heard of MILLIONAIRE MIND INTENSIVE (MMI)? T Harv Eker, the author of the best selling book - Secrets of The Millionaire Mind, has designed a series of programs and training. One of the most famous programs or the beginner program is the MILLIONAIRE MIND INTENSIVE (MMI). It is a three days program from early morning till evening. 1. Worthy to attend Millionaire Mind Intensive? 2. Is Millionaire MindIntensive useful? 3. 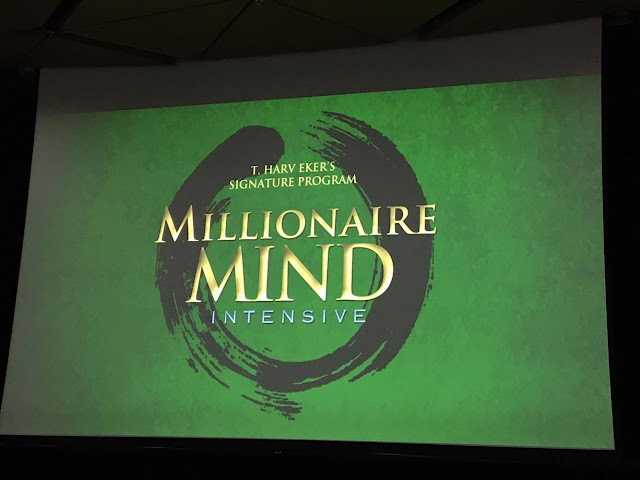 Can I be a Millionaire after attending Millionaire Mind Intensive??? I have the same questions! But his book (Secrets of The Millionaire Mind) is really convincing and powerful. It stirs a lot of thoughts in my mind. 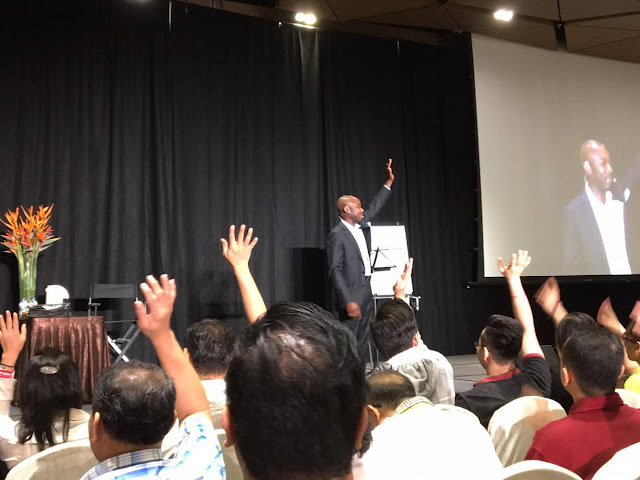 So I am fully motivated to attend the Millionaire Mind Intensive Singapore. Sadly I paid for the tickets, while others got free tickets from somewhere else. 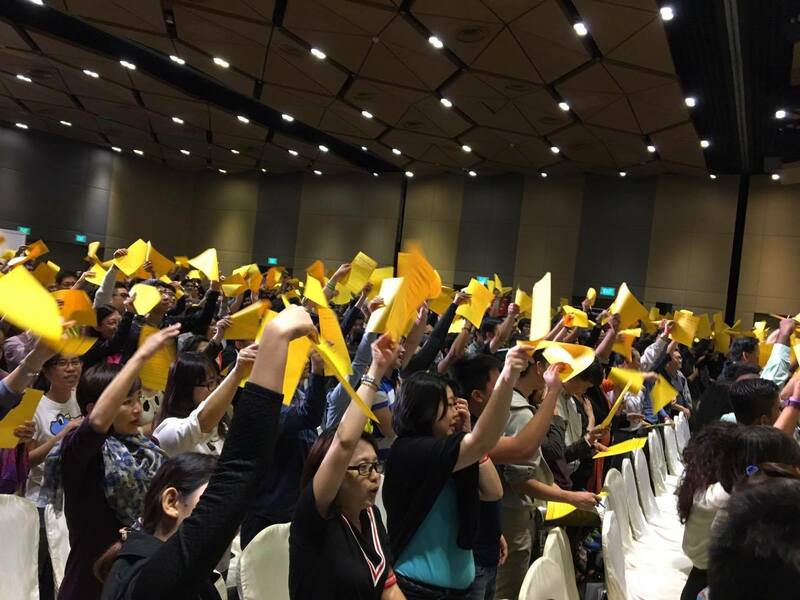 Anyway, the ~ S$ 100/pax is utterly well spent for this three days course. I will briefly describe the highlights of the event. As you can see, few hundreds of people are in a hall with excitement and anticipation. 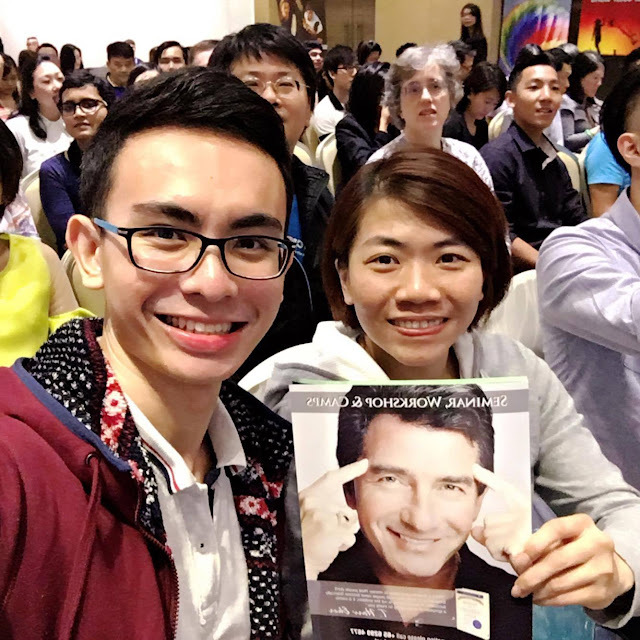 Even though I do hope to see T Harv Eker in the training, that is only a dream. 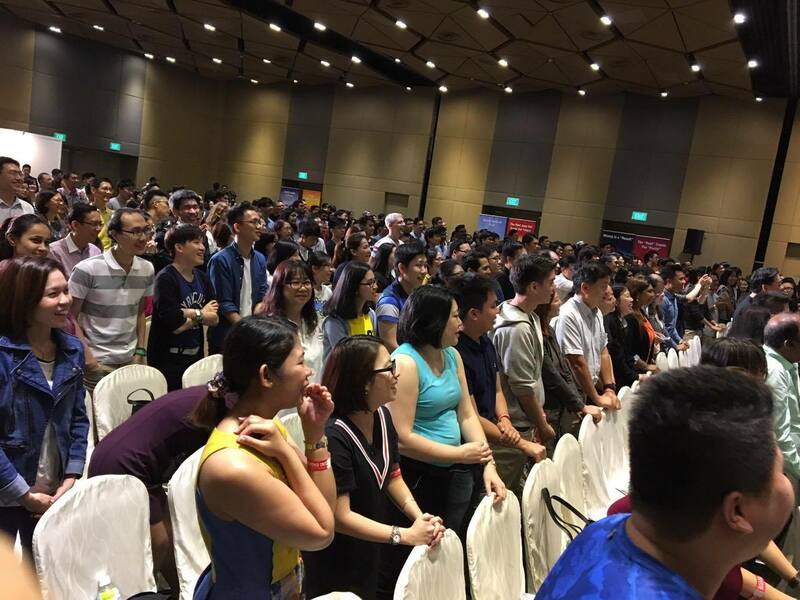 Instead of Harv, Mac Attram is the lead trainer for this Millionaire Mind Intensive Singapore. He is undeniable a good speaker and trainer. He can engage the audience easily and possess wonderful skills in storytelling. Needless to say, he is confident, humorous, entertaining and knowledgeable. But he can be quite particular and fierce on certain things such as video recording (prohibited throughout the event) or undesired interruption of the activities led by him. But no worry, he is considered an excellent speaker, which mean you are in good hand when you see him. A three days event is really intensive and could be tiring. So Success Resource always keep the energy of their events, including this one, at very high level. So you will expect some dancing, clapping and high-five throughout the event. These are what make the event fun and enjoyable. Ok, I think I talk too much on the trainer and how the event is conducted. The main purpose is to change your mindset towards money and money management. Firstly everyone will be given a workbook. Mostly are fill-in-the-blanks and plenty space for participants to take note. This is GOOD! Then at the beginning of the MMI, they lead you to think about your mindset toward money. There is a series of questions to help us getting the answers from our inner hearts. E.g. Money is root of all evil? Money isn't important? Once you have a rough idea what money and being rich mean to you. Then they slowly instill the correct mindset in you. They talk about financial freedom (passive income > Expenses), passive income, money management and etc. One of the most important take-away is the JAR SYSTEM. The JAR System is basically the money allocation system. There are 6 accounts under the JAR Sysmte. E.g. 55% of your income spent on necessity; 10% put in investment (Financial Freedom Account); 10% put in Education account and others. This is a viable system to me. Even though they recommend certain percentages on each account, I will prefer to set the percentage for myself. Generally we always spill our accounts into Expenses and Saving (possibly investment as well). This doesn't include some plans for self improvement. A lot time, we are stingy on education (That's me). So this jar system suggests that we spare some money to be spent on educations, be it a short term course, training and talks, to learn something new. Once you allocate a budget for certain thing (education for this case), you are mentally prepared to spend the money on it. Agree? PAY YOURSELF FIRST. At least, I feel that way. Some money allocated to join Toastmasters, I pay the membership fee with the money without feeling "pain" in the heart. They talk about Money Blueprint and Beliefs. The roots of a tree produce the fruits of the tree. In short, the roots produce the fruits. It makes sense! So our mind is like the root, what we think and feel will lead to the results. T Harv Eker well known saying: Thoughts lead to Feelings, Feelings lead to Action, Action brings Results. During this part, the speaker shared some stories from the book (exactly the same) to prove that it has to do with out mind. However they don't really emphasize on setting our Money Blueprint (throughout the seminar) that aggressively like the book does. I suppose this is an important part as Money Blueprint determines the value we set for ourselves. They do talk about the golden goose story and ask us to set a value. However they should put on a bit weight on this part, in my opinion. Then here comes the interesting and useful part. Identify how we get the belief about money and remove it. E.g. your parents show certain attitudes towards money and this leaves an impact on you. You tend to follow your model (parents in this case) unconsciously. NOTE: I do not work for Success Resources or MMI. One way they think can change our mind is by doing declarations. Reading our some positive sentences + some actions to let these thoughts settle in our mind. Identify your purpose. As motivator always say, your life purpose or purpose of bring rich must be greater than yourself. if we focus on traveling around the world, buying big houses and etc, we cannot go far and will not be Happy. So they ask us to think and write down our purposes of being wealthy. If we wake up every morning knowing our life purposes, will we feel bored or demotivating? Instead we will know how to get the stage we want. There are other parts like money personality (Spender, Saver, Monk and Avoider), acknowledging successes (Success Breeds Success) and others. They are trying to remove our negative emotions towards money and re-frame the past. Call To Action! Encouragement like "Act in spite of fear". Our brain naturally protects us and warns us of danger. A lot of "what if" will pop out in our mind especially when we do something new and adventurous. So here is the interesting thing, MMI tells us that the secret of freedom is to realize that you don't have to believe your mind! (WHAT so is our soul the one tells our brain, "I DON'T BELIEVE YOU"??? Haha, Sorry I am confused) Anyway, we need to have awareness about our thoughts and say "Thank you for sharing" to the negative ones. ACT IN SPITE OF FEAR! Mac said: "If you want to get rich, the first step is to start a BUSINESS!" *You will expect an interesting "Arrow Breaking" Activity as described in the book too. Do you notice I put a lot of Minion High Five photo in there? That's exactly what they love to ask us to do! Give high five to your neighbours and shout "You! Have a millionaire mind!" All in all, as I said, it is worthy to attend this mindset changing program. My biggest take-away is - There is nothing wrong to be wealthy, instead with the wealth we have, we can bless more people. The negative thoughts about money shall be removed and we shall take actions to get rich! You must be OPEN and PARTICIPATE to fully experience their programs. Just remove the skeptical mind and go to have FUN. It is a great place to know more people too, just beware of aggressive MLM people :) And please train your stamina as three days are quite tiring too. P/S: Don't waste your money to buy the over-priced and thin book "SpeedWealth". Oh ya, the best part is, they give us a 90-days wealth conditioning program workbook too! This workbook can help us to retain the lessons during MMI and root the lessons in mind. NICE!!! 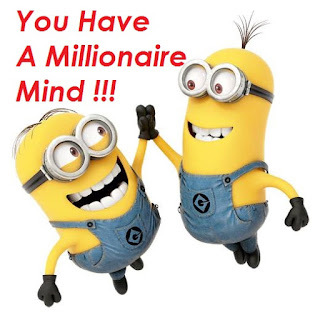 Guys, Enjoy the Millionaire Mind Intensive and Be a Millionaire!!! Toastmasters Club - A non-profit organization which provides a platform for members to practice public speaking. 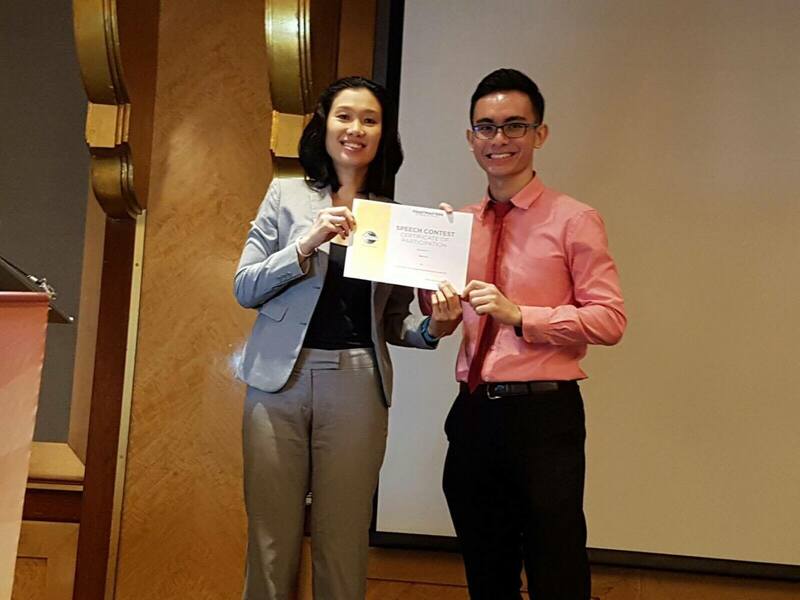 Now I actively involve in the world largest professional club - Toastmasters Club of Singapore. Toastmasters Club organizes International Speech contest annually. 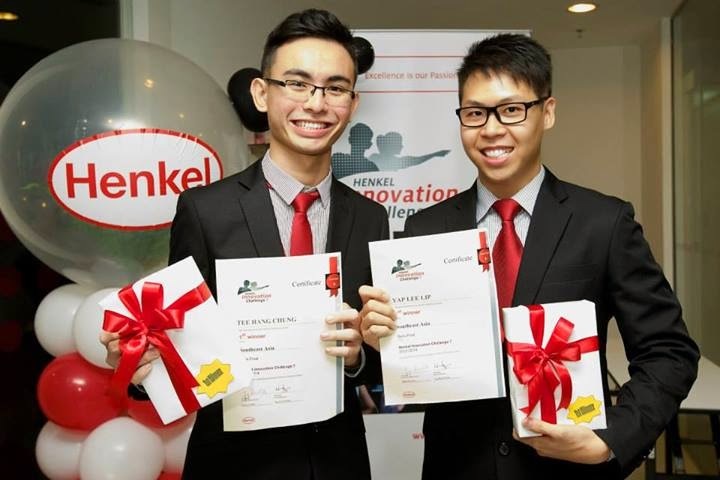 It is the Olympics of Public Speaking and a highly regarded competition. The contestants will first compete at Club level before moving on to Area, Division, National, Regional, Semi-Final and Final. The most exciting part is, the Semi-Final and Final are organized in Vancouver, Canada. This is my dream, and I take action by participating in the contest. Honestly, I have never been so serious in preparing a speech. I wrote my draft one month before the contest date, sought mentor-ship, practiced more than 50 times. I even practiced in my mind before I shut myself down on bed. It took quite some efforts I would say, but not torturing. I really didn't expect I could win anything after knowing all the finest speakers in our club signing up the contest. The contestants included the previous World 2nd Runner Up. But still, I hoped miracle to happen. So I just tried my best. Do you want to know what is my speech content and how is my performance that evening? I talked about "Never Try, Never Know". This is a topic which resonates with me a lot because I am about going to try something new and shocking to the others. Anyway, Thanks God everything was smooth and I had delivered what I could just as I expected. I thought I was fine as my delivery was at my 100%. That's before I listened to others. After listening to a few, I knew I stand no chance. Firstly, I was the first to present, nobody's going to remember me unless others were way too lousy. Secondly, other speakers were 300% more humorous and speech contents were 300% better than mine. Thirdly, I just knew I was at the losing edge. Well, after the final speaker who was the previous World Second Runner-Up, I knew I would bring back nothing. Hahaha. Ok I wrote in a too negative and sad way. Humor is an important element in a speech as it can engage, enchant and entertain the audience including the judges. The harder the audience laugh, the more the audience enjoy. Humor can arouse audience attention too, at least they won't look at their hand phones. I did include humor in my speech, more to actions and vocal variety types, e.g. funny actions. But the others created humor through the structure, content and language. For example, "My wife asked me to bring my kids to Disneyland, but I was scared of roller coaster. At the end, my kids happily followed me because I scared my wife more "
"Inspirational speaker loves to say if you follow your dream, anything is possible. So I am inspired and decide to follow my dream. Since young, I dream to get pregnant"
These speakers are so humorous until they can make the audience laugh throughout at least 80% of their speeches. The most important thing is - they manage to convey their speech message at the same time. This is definitely not EASY! Perhaps I should watch more comedies so that I can learn how to crack better and damn funny jokes in English. Choices of words, twisting of sentences, cheeky expressions and so on. Yup, I believe sense of humor can be nurtured, it just needs practices! So I will continue my humorous speech projects in Toastmasters. Hopefully I will be able to craft a humorous yet meaningful speech very soon. Normal business presentation is not an issue at all. But when come to storytelling, I believe I need a boost! The structure, the choice of words and etc. I need to improve myself on these so that I can be more inspiring,convincing, engaging and entertaining. Ah! Creativity is one important element too. But good language is needed to ensure the creativity is well presented. OK. Lots of things to improve. The approaches to improve, undeniably, are to listen more and read much more. Perhaps story books or novels. So that I get used to writing stories and being able to narrate in better ways. To me, others are more natural in their delivery. 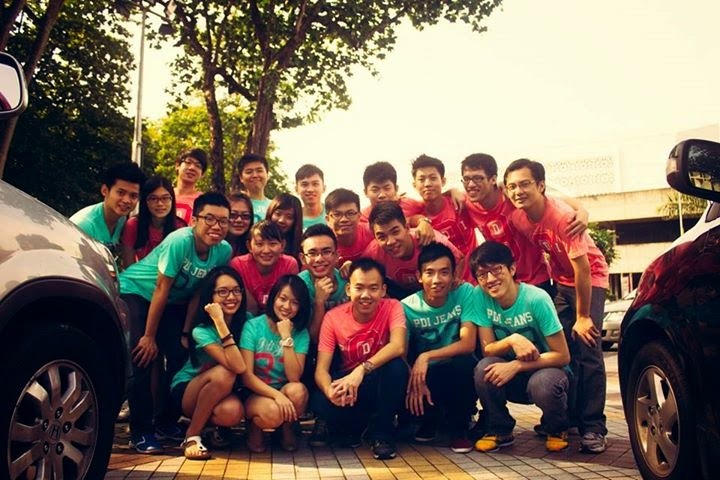 Perhaps they speak English most of the time, unlike a mandarin speaker here (⟶ me). They crack jokes so naturally, I suppose they master the rhythm. Every language has its rhythm when it comes to speaking, like a melody of a song. Pronunciation, enunciation and intonation come along closely if we want to deliver a good speech. Mistakes in these can confuse the audience and disconnect them from following the speakers. I am glad that my 50 times practices and my mentors help a lot on this. Still I find my delivery a little bit not natural. Do you feel so? I don't know la. I just feel such way. So the only way, again, is practice! I should give more speeches in the club then. LOL! But I shouldn't feel so negative, after all this is my first time. I am satisfied that everything goes smoothly, good body language, no nervousness at all, good audience engagement despite being the first speaker. Thanks all those good and encouraging words from some members too. True enough, there are huge gaps between me and the giants. But I shall not give up and one day, I will be one of the giants too! Finally the days of memorizing script are temporary OVER! hahaha. Today must be a wonderful and blissful day! In the first dream, I was standing in front of a big crowd. There were a few primary schools kids sitting behind me looking very nervous. I looked around and Ah! I was in a debate competition (looked like one). I was the tallest among them, perhaps I failed to reminisce my "child form". As a toastmasters trained person, I immediately turned to my neighbors and shared with them some skills to do a proper self introduction (Don't ask me why we need to give self intro, I do not understand either). Of course I was the first speaker to establish a role model to the others. I remembered I exaggerated my intonation, enunciation and pronunciation during my introduction. I was so confident without any nervousness as if I was dominating the stage and crowd. 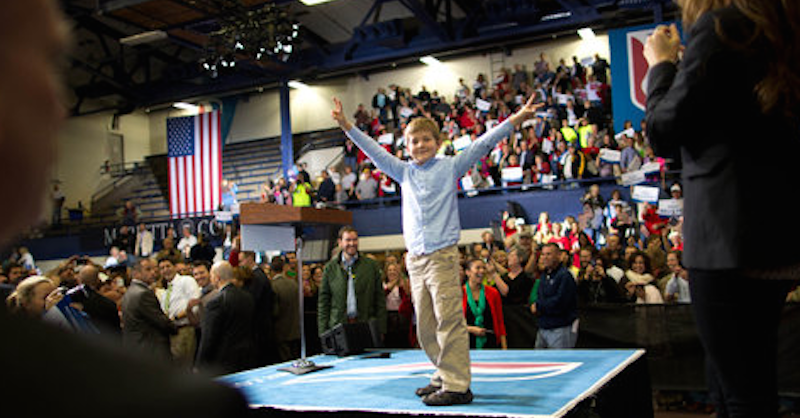 Triumph like a kid below, not Triumph like D Trump. The happiness was damn real! I could feel it, people congratulated me and the event continued with a cocktail session as if celebrating my victory. I still remembered vividly, I talked to myself: "I can't believe I can win a debate in English, when I can speak like a pro!? LOL"; "Perhaps may be I am extremely confident, that's why I can speak so well"
HAHAHA. OK done with the stupid monologue part. The most interesting part was, I was required to give 2 minutes victory speech! What a nonsense dream! 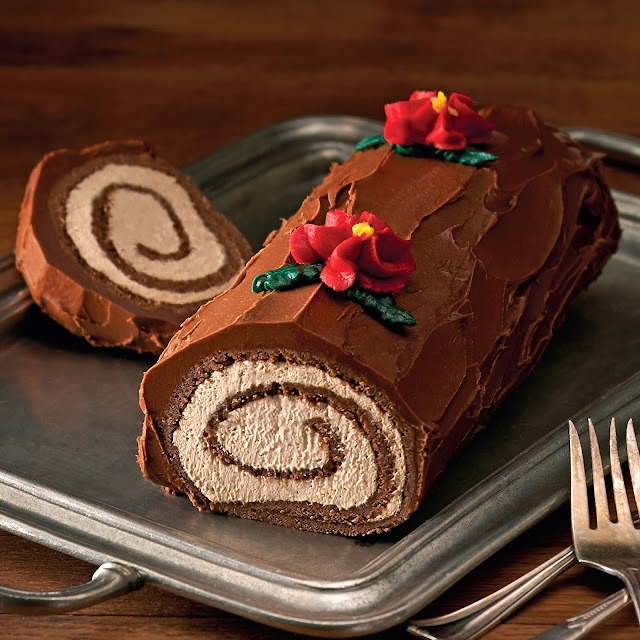 I slid the cake and tasted it. The cake was so delicious, creamy and satisfying sweet (I am a sweet stuff lover anyway). Then I saw a lot of kids coming towards me. Most of them are Caucasian kids. I was so happy to see them and played with them joyfully. The exhilaration was so beyond description. We hold hands and ran around. We laughed and cared nothing. It was just like going back to the innocent childhood. There was a kid telling me that there were a lot more cakes waiting for us. So all of us rushed there and started eating more cakes. The variety of cakes was impressive, they had different layers with different colors. I kept eating like no tomorrow, my unlimited appetite could be compared to a black hole! Some kids even told me, next time they would bring their special cakes from their countries for me. Yes Yes Yes, I couldn't wait for that! Later on, all of us started dancing. You would not believe that, everyone was doing Indian dance! HAHAHA. (Since when I am a fan of Indian Dance?! LOL) I even saw Indian uncles and aunties demonstrating the Indian dances to us! What a hilarious and enjoyable moment. In a few minutes, I was literally "transferred" back to my house (Pooooffff~~~) meeting my brother and the uncle, they asked me where I got all those cakes. blu... blu... blu... I opened my eyes. Two neighbors in a flat; one with a kid but poor, one without any kid but rich. The poor looks happy but the rich looks sad. Because there is a baby smiling to the poor but the money doesn't smile to the rich. Undeniable, one day I also want to have my own family and kids, if that's God's will and blessing. Anyway, happiness can be as simple as having a sweet dream. In fact, reading truly teaches me a lot of things and motivates me in different aspects. Recently I am reading/listening to an audio book (for the first time) called OUTWITTING THE DEVIL, by Napoleon Hill. I am a fan of Napoleon. 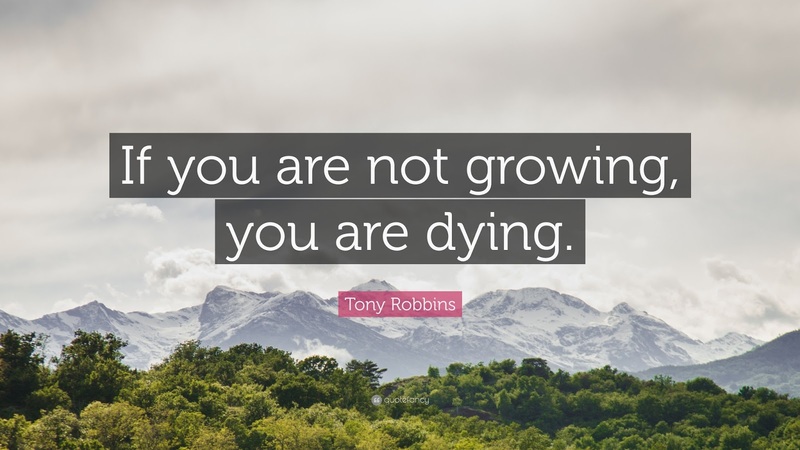 I strongly recommend everyone to read THINK AND GROW RICH, a motivational book that can boost your spirit. The purpose of writing this blog post is to record down the methods protecting us against drifting. 1. Do your own thinking on all occasions. The fact that human beings are given complete control over nothing save the power to think their own thoughts is laden with significance. I have to confess, I am one lazy bug to think on my own. Some time, I opt to listening to others' ideas and seek solutions/recommendations from others. This number 1 is already a big slap on my face to wake me up. I need to have my own thinking, or else who am I? For example, when customer asks me some technical questions, I will do little thinking and dial my boss's number to seek opinions. Perhaps I have no confidence on my answer OR I choose not to think about it myself. Thus, say "No" to this and start thinking independently. Don't be lazy to come out with our own thoughts. 2. Decide definitely what you want from life: then create a plan for attaining it and be willing to sacrifice everything else, if necessary, rather than accept permanent defeat. We are brought up by systematic education, most part of the world is practicing this. Study hard, get good grade and get an excellent job. But the question is, is it what we want from life? Most of the people including me do not know our life purposes at some points of time. Fortunately, some do know their purposes in life. Unfortunately, most do not dare to take the leap in faith. Imagine a manager with $ 100,000 annual income is deciding whether to quit his job and start his/her dream business or keep the status quo. What will be your advice? If he/she decides to quit, he/she has to sacrifice the steady paycheck and takes a risk to venture into new adventure. Even though the sacrifices are/might be humongous, the fulfillment, gratification and achievement will absolutely satisfy our deepest desires. A definite goal is necessary and crucial in everyone's life. If we know our definite goal in life, we shall waste time no more and work hard to move towards that striking goal. 3. Analyze temporary defect, no matter of what nature or cause, and extract from it the seed of an equivalent advantage. Chinese famous saying goes, "Failure is the mother of success". It is not about how hard we fall, but how much we learn from the failure. Temporary failures contribute to future successes. To say this, it is pretty easy. However, the fear of failure has deterred a lot of people from even trying. We need to know, failure is not scary, it is an educational lesson. 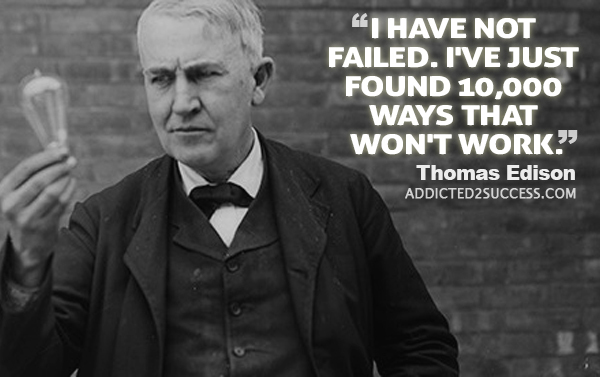 I love what Thomas Edison had said, "I haven't failed. I have just found 10,000 ways that won't work". A little positive thinking is required here. In short, don't be defeated by failure; transform temporary failures to be weapons to conquer our future. 4. Be willing to render useful service equivalent to the value of all material things you demand of life, and render the service first. From personal interpretation, it talks about the art of giving. We always love to take rather to give. Little example, I love lunch treats from others, but I am not really willing to treat them back (for those not so closed one). I have to confess, this is bad. A peaceful world needs to be in balance of give and take. Imagine everyone in this world only takes, then who gives? We are familiar with the well known teaching "Give First". I believe if we are willing to give sincerely, people will recognize and be willing to render back. Imagine providing services is like a circle, at the end, the first to offer help will get help from others too. Note: the highest level of rendering is, provide without expecting any return. 5. Recognize that your brain is a receiving set that can be attuned to receive communications from the universal storehouse of infinite intelligence, to help you transmute your desires into their physical equivalent. I notice a lot of books love to cite "Infinite intelligence". This is how they fill the spiritual needs in human. It is very true, human can't live without faith. That's why the world has a lot of different religions. For me, Lord Jesus Christ is the infinite intelligence. All wisdom comes from Him, the creator of this world. Through prayer, I commit my desires and dreams to Him. I pray for wisdom to identify my life purposes, I pray for courage to take actions, I pray for guidance to keep me in check. The prayers are the communications with God. 6. Recognize that your greatest asset is time, the only thing except the power of thought which you own outright, and the one thing which can be shaped into whatever material things you want. Budget your time so none of it is wasted. This is the biggest slap to wake me up. Time is limited and precious; it is our greatest asset. However I love to waste it in my games, hangout and entertainment. I admire those who are willing to sacrifice sleeping time, hanging out time and fun time to work relentlessly towards their aims. Many successful people sleep less (like 4-6 hours), for instances, Barack Obama and Elon Musk. I am fond of this quote from Donald Trump, "How does somebody that's sleeping 12 and 14 hours a day compete with someone that's sleeping 3 or 4?". Note: Sleep is important! Besides saving time from cutting sleeping time, the wise management of time in the day is imperative. If you have decided to manage your time wisely, I suggest to work on the habits; Reduce slowly the time-wasting activities; Pick up some beneficial habits like reading during leisure time; Occupy free time with some courses to upgrade yourselves. 7. Recognize the truth that fear generally is a filler with which the devil occupies the unused portion of your mind. That it is only a state of mind which you can control by filling the space it occupies with faith in your ability to make life provide you with whatever you demand of it. Fear, the number one tool used by the devil, is truly dominating our lives. To name a few, the fear of failure, the fear of losing and the fear of criticism. However, we need to know we are in control of our lives. Fear is not our master. Fear is inevitable, so we need to recognize it and think of ways to overcome it. Let's say we are afraid to start a business due to a lot of uncertainties. What we can do to overcome our fear is to do research and study to clear all doubts and uncertainties. Fear is manageable if you are willing to do so. As the writer explained, we can control by countering our fear with faith. Having faith on ourselves is the key. Be optimistic. 8. When you pray, do not BEG! Demand what you want and insist upon getting exactly that, with no substitutes. This point has two parts; Pray but not Beg and insist exact demand. Insisting exact demand is valid when we know what we want. A very firm desire which is unchangeable over time and unshakable over influence of others. Once we know that demand is the best for us, how could we be satisfied with any substitute? Again, knowing what we want in life is extremely important. 9. Recognize that life is an cruel taskmaster and that either you master it or it masters you. There is no half-way or compromising point. Never Accept from life anything you do not want. IF that which you do not want is temporarily forced upon you, you can refuse. In your own mind, to accept it and it will make way for the thing you do want. Life is indeed about choices. Choice to be mastered or choice to master. If we didn't want to do any decision or action, we would be mastered by others. On the contrary, if we will to take charge of our lives, we can make a difference. Take myself as an example, I have graduated with good results, followed the norm to get a job and perhaps along this path, I will get incremental pay check. This typical life, I would say, is mastered by others. My bosses and the companies are deciding my future; I am not taking charge of my life. So I always have the ambition to start on my own and take back the decision making rights. Napoleon is right about "Accept it and it will make way for the thing you do want". Perhaps we can refer to law of attraction, power of subconscious mind and etc, I do believe if we desire something so desperately, we will take actions to acquire, achieve and accomplish it. 10. Lastly, remember that your dominating thoughts attract, through a definite law of nature, by the shortest and most convenient route, their physical counterpart, be careful what thoughts you dwell upon. Have you ever experienced, you mind cannot control your thoughts? Simple example, you are sleeping in a dark + creepy room, a lot of scary imaginations and thoughts pop out, and you simply cannot stop them. Perhaps we should do some mind exercises to control our thoughts. One exercise I can think of is; be conscious on your thinking. Once some undesired thoughts come out, stop them immediately through your conscious mind. Soon, we can control our mind better and positive thoughts can emerge well. So our dominating thoughts attract their physical counterpart. As I share in previous point, the stronger the desire, the faster the actions taken, the earlier the physical fruits can be reaped. Be definite in everything you do and never leave unfinished thoughts in the mind. From the habit of reaching definite decisions on all subjects. All in all, in order to prevent drifting in life, we need a clear and precise direction. Whatever we are doing, they should contribute to our ultimate goals. Focus on what we want and eliminate unnecessary thoughts. Remember that we are in control of our mind. "With the tongue we praise our Lord and Father, and with it we curse human beings, who have been made in God's likeness. Out of the same mouth come praise and cursing. My brothers and sisters, this should not be." "Look at her, so ugly still dare to carry LV bag. The bag 100% is counterfeit!". "Go to hell, you stupid idiot". "He will never ever succeed in life, if he did, the Sun would rise from the west!". These sentences are so common in our daily lives. Judging, accusing and cursing people are what we do best. It is so natural for us to say those words which can hurt and break others' hearts. Often we forget they are made in God's image as well. Cursing them is equivalent to humiliating God. 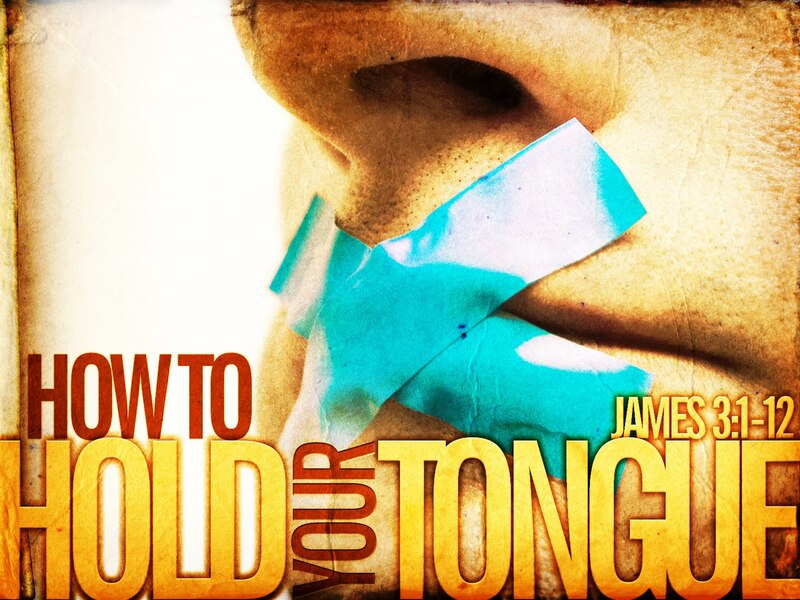 The most interesting fact in James 3:9-10 is, we use the same tongue to praise our Lord. Personally, I used to indulge in gossiping about people. Whenever I detected some fresh news, my radar automatically activated its reception. Sometime I shared the gossip I have in order to exchange some other news. However at one point of time, I felt so guilty because I discovered my news were false after sharing with my friends. Gossiping is as bad as cursing because some time we don't even know whether what we share is true fact. Imagine, we praise God with our foul mouths, will God be pleased? Thus, we need to be conscious about the words coming our from our mouths. Our mouths are meant to communicate with one another and worship God. We cannot curse and praise God with the same mouth. It is easy to come out with this conclusion, however, it takes a lot of efforts and determination to eliminate our habit of judging, gossiping and cursing. I believe step by step, we can make a change. May God's strength and wisdom be with us. "But He said to me, "My grace is sufficient for you, for my power is made perfect in weakness." Therefore I will boast all the more gladly about my weaknesses, so that Christ's power may rest on me." Verse of the day! 2 Corinthians 12:9. This carries an important lesson which impacts me a lot. We always boast about our strengths and glories during interview, chit chatting and writing. However, we (at least I) never thought of boasting about our weaknesses. God tells us that His power is made perfect in weakness. I strongly believe no one except Jesus is perfect, we all have different weaknesses. For example, I always have a serious problem of 3 minutes fever. I was so excited about selling phone casings on Carousell in May this year. Successful example of a friend doing this inspired me to venture in this business. Booking some stocks and listing the items on Carousell were fun and interesting at the beginning. 3 months down the road, I was bored with the tedious buy and sell process. The excitement was gone. Eventually, I put up my white flag and left my Carousell account aside. I seldom talked about this little business in front of my friends because it was a shame to me. This experience amplified my weakness. So instead of feeling shameful, I should humbly commit this weakness of mine to Lord Jesus. I believe as long as we willingly confess our weaknesses to God, He will hear our voices and lend a hand to us. 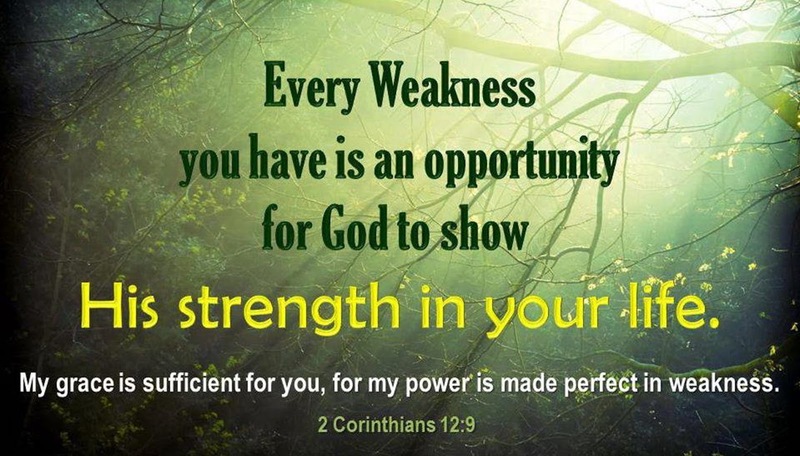 Just like what 2 Corinthians 12:9 tells us; we should boast about our weaknesses and Christ's power may rest on us. With the wisdom and strength from God, we take actions and eliminate our weaknesses. 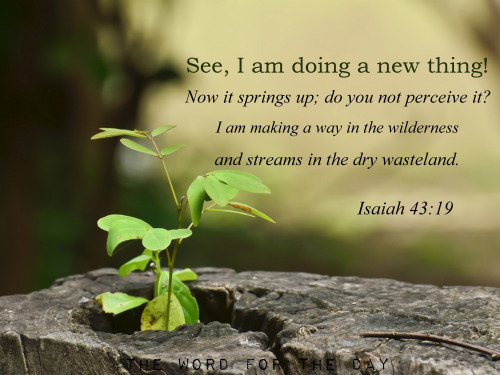 As people know about our weaknesses and witness our changes, by then, we can be good testimonial of God and share this to encourage others. Every weakness we have is an opportunity for God to show His power in our lives. Moreover, God teaches us the attitude of humble too. God loves humble people who are not arrogant and not boastful of themselves. Even we have great successful achievements in life, we should not boast about it. Praises from others' mouths are always better and truthful than coming from own mouth. I am a Dreamer: Oversea Robbing Mission! Body felt exhausted and brain juice was running real low, I switched off my brain and rested comfortably on my bed. Yawn, I woke up at home. There, I saw my cousin (阿颜) and remembered I wanted to go his house to have a festive feast (Perhaps is ghost month). But it was too far from my house, I couldn't go without a car. I was so desperate to go, probably my stomach complaint too hard. Then I asked my cousin whether he was going back. And he said yes, but when stepping out of my house, I saw my aunts and other cousins came, they brought down all the food and set them up like catering. I was so happy until I forgot what food there was. I remember... Curry? When I turned to my back, out of sudden I physically appeared in another place. 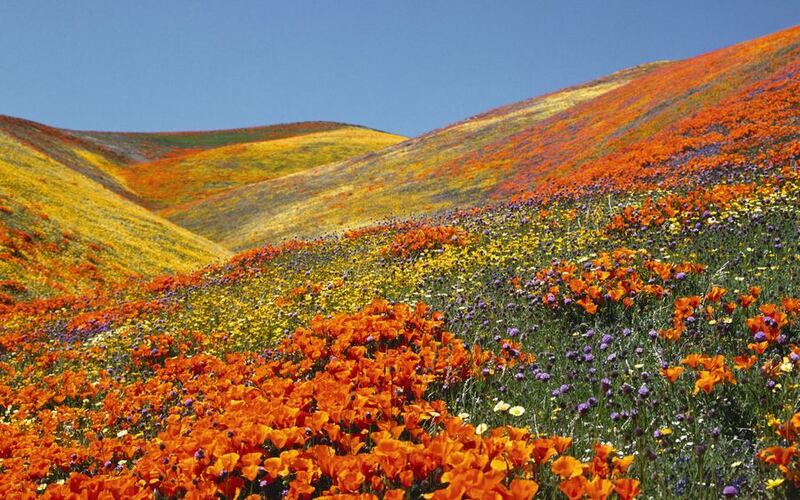 This time is a flower garden. I saw a gang of strangers but I felt like I knew them. They walked towards me. We had a little chat, and know what the topic was about? Robbing somebody oversea. I remembered vaguely the excitement when we decided on this mission. "He deserved it! He was so rich and we should target him", circulating in my mind. The excitement and the sensation was so real. Then we somehow came to a consensus and a plan which I had forgotten. What I remembered was I happily left the garden and turned my head back, I saw vivid and colourful sea of flowers, purple, yellow and etc. They were so lively and dancing gracefully. I could sense the joy from them. Story seemed to fast forward when I suddenly appeared in an airport! That's it, it made sense because it was an oversea Mission! 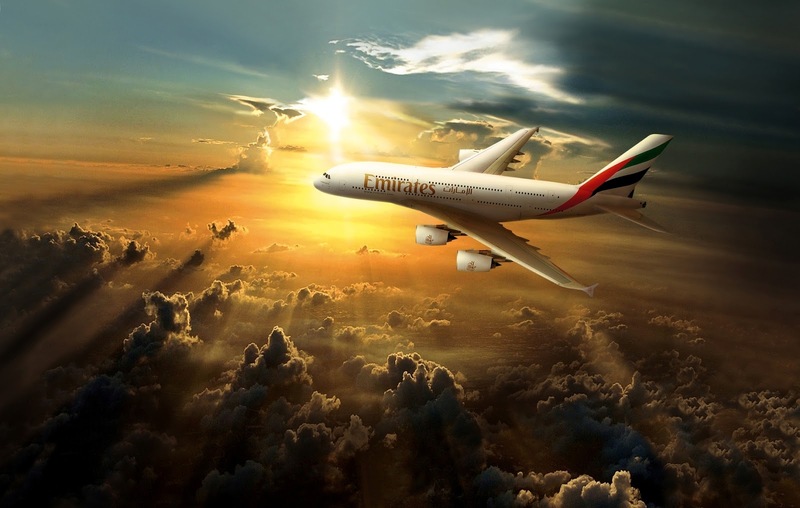 Wohoo, my brain told me the airline was EMIRATES! In real life I took once, it gave me Super good impression. This made me even more excited! I bought a big backpack and hold some stuffs on my hand. I saw a little cute plant (something like Money Plant) in its flower pot. I somehow knew the purpose of plant, it was to distract the officer on my Mission to rob people! "Hahaha". So they would ask a lot about the plant and forgot about my big backpack (Super naive!!!). The airport was so huge and looked sophisticated. I remembered how impressed I was at there. The spacious lobby, the cool air-cond, the exciting Mission, my adrenaline level was so high! I also couldn't wait to hop onto the Emirates airplane! When I approached the airport scanner gantry, I saw a guy in his uniform with Super Black Face! He was not in a good mood man! Then I put my stuffs down on the scanner belt and ready for them to get scanned, including my little cute flower pot. Out of sudden, the officer was mad and raged, he flipped my stuffs downside up just like flipping a table! He showed his poker face! But I felt INFURIATED. I quickly attended to my stuffs on the floor and my little cute flower pot was broken into pieces and the soil was everywhere. I was sad and mad at the same time. But wait! I was rushing to meet my friends, they all passed the scanner already. I was so nervous and needed to hurry up! I quickly ran toward another lanes and suddenly something strange popped out in my mind. I saw some lady officers were handling the other lanes, they were Japanese! And they are wearing big earphones. My mind told me they were listening to some training because they got no free time to attend physically a training. "Omg! Out of story". I ran to the scanner and wanted to take out my passport. But wait, I couldn't FIND IT!!! WALAO! Not this time! Where was my damn passport! I took out all the cards in my backpack pocket. I saw my EzLink card only, NO SIGN OF PASSPORT! The image of airplane taking off was flashing in my mind again. I was so so so MAD and ANGRY, shouted loudly, "WHY WHY WHYYYYY!!!" Haha. I had a weird dream again. That was a failed mission! But I think I would never rob someone in real life. LOL!!! Love these funny dreams lah! Before it faded away, I hold the pieces of memory and wrote them down. I am going to write down all my weird dreams here in my blog! A DREAM Blogger! wohoo. Haha. And my dreams got colors! Do you? Haha.